NPAF's 2020 EZ-APP Artist Residency at Fort Union National Monument. We've listened to the vocal core of artists who are active in the National Parks circles. 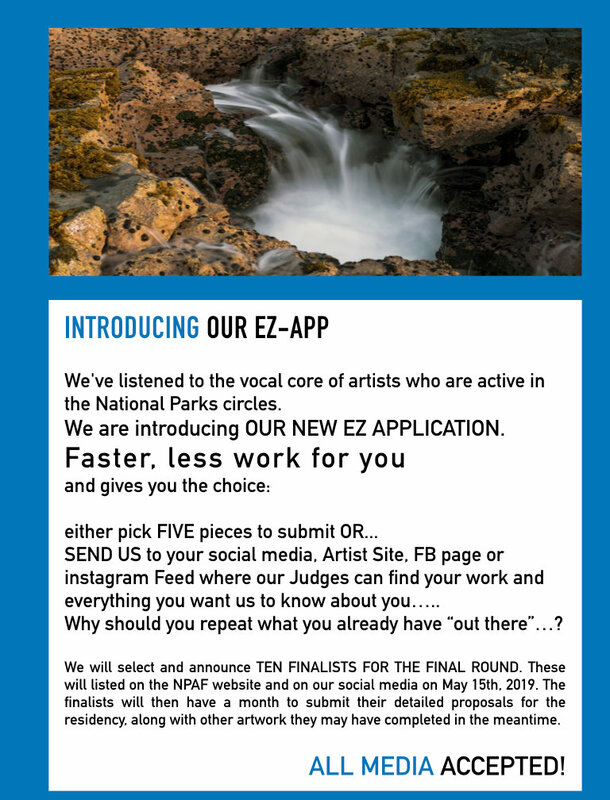 SEND US to your social media, Artist Site, FB page or instagram Feed where our Judges can find your work and everything you want us to know about you…..
Why should you repeat what you already have “out there”...? NORTHERN NEW MEXICO in October of 2020. Containing the remnants of three different fortresses of the period 1860-1880, Fort Union National Monument, located in Mora County near Watrous, NM, was the hub of commerce, national defense, and migration at the final stretch of the Santa Fe Trail. The richly evocative ruins of a post-civil war era adobe fort, it became a National Monument in 1954 under the Eisenhower administration. The fort is close to the high plains and grasslands of Eastern New Mexico, the amazing Historic Victorian Town of Las Vegas, and the Santa Fe Trail outpost of Wagon Mound. We will select and announce FIVE FINALISTS FOR THE FINAL ROUND. These will listed on the NPAF website and on our social media on April 30th, 2020. The finalists will then have a month to submit their detailed proposals for the residency, along with other artwork they may have completed in the meantime. This is a no studio residency, so artists will have to work in their lodging or plein air. A vehicle is required to get around and explore beautiful northern New Mexico. Artists or Artist couples must schedule their arrival between 2-5pm on weekdays, and must have their own transportation for the month of the residency. 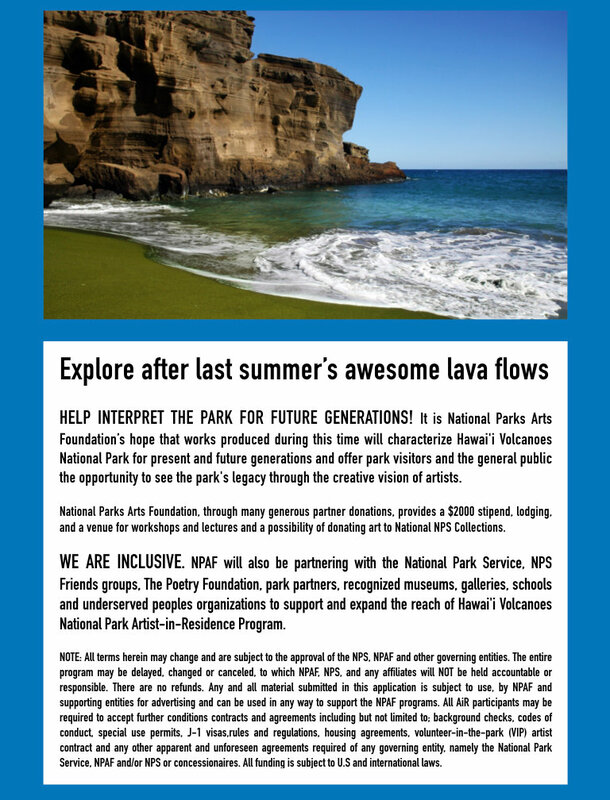 You are invited to submit a National Parks Arts Workshop Proposal to NPAF. Please include all elements in your proposal that we need to consider and present to the National Parks Arts Foundation, the NPS and any entity partnerships.